Publishers and platform holders no longer have to ignore one of the world’s biggest video games markets. China is open for business. Government officials have lifted the 14-year ban on consoles and production of the devices has begun in Shanghai’s free trade zone to be sold in China. In doing so, they have granted Microsoft, Sony and Nintendo access to a market that boasts over half a billion gamers and revenue in excess of 83bn yuan (8bn). 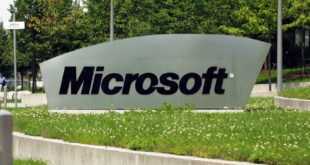 It’s Microsoft that is leading the charge into China. Xbox One will be the first games console to be sold in the country since 2000. On the surface, it’s a move that looks to be huge for Microsoft and one that the company itself has hailed as monumental for the video games industry. Launching Xbox One in the market is a significant milestone for Microsoft and for the industry, and it’s a step forward in our vision to deliver the best games and entertainment experiences to more of our fans around the world,” a Microsoft spokesperson told MCV. The culture of games and entertainment is rapidly expanding in China with nearly half a billion people playing games – more than a third of the country’s population and more than the entire population of North America. "Microsoft moving into China ahead of Sony is huge. And rules out a third contender, so it’s already game over for Nintendo." Microsoft isn’t the only one eyeing up China, either. Sony has long talked up the prospect of entering the territory with PS4. And whilst the platform holder continues to hold its cards firmly against its chest, its move into China is inevitable. We do recognise that China is a promising market and we will continue to study the possibility,” said a Sony spokesperson. But in an interview with MCV following the launch of PS4 last year, SCE president Andrew House already showed Sony’s hand. One of the success stories, not just for ourselves but for the business as a whole, has been our ability to open up new geographies for video gaming over the last four to five years,” said House. So with Microsoft already moving into the market, and a similar entrance by Sony expected on the horizon, what about Nintendo? Green says that by taking the plunge into China first, Microsoft has all but ruled out the possibility of Nintendo making any kind of impact in the market. But the move into China has the industry divided. For every expert predicting huge fortunes for Microsoft, there’s another labeling the launch of Xbox One in China as a waste of time. China hasn’t exactly struggled without the likes of PS3 and Xbox 360 gracing the shelves of its retailers. 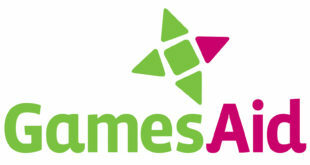 Its games market has experienced huge growth in the past year with a 38 per cent jump in generated revenue. Fuelling this growth is the demand for PC and mobile gaming. According to a Newzoo report, 73 per cent of Chinese gamers are playing MMO titles and the country is home to a relatively higher percentage of PC, tablet and smartphone gamers than any other country. In fact, the PC accounts for a whopping 89 per cent of the 8bn spent on games in China whilst much of the remaining 11 per cent is spent on mobile. So while it’s true that there’s a vast user base to potentially be tapped into, there’s certainly no guarantee for success. 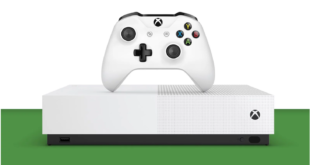 In an IHS report published last week, analyst Piers Harding-Rolls said the lack of a console market in China, matched with its high rates of piracy, will hurt Microsoft and severely limit the potential performance of Xbox One. The historic ban on consoles means that TV gaming remains a niche activity centred on grey imported consoles generally used for pirated software,” reads the report. The opportunity in China exists. And Microsoft can hardly be criticised for taking a chance on one of the biggest gaming markets in the world, especially when the Xbox One continues to lose the global arms race against the PS4. It’s also a statement of intent from Xbox. The platform holder has so far not launched Xbox One around the world, and in many territories has conceded considerable ground to PlayStation. This is Microsoft’s bid to try and beat its rivals to the punch in an entirely different territory. In truth, it might not set the world alight. We should not expect Microsoft, Sony or Nintendo to rival the PC and mobile userbases in China. Yet even if these companies only attract a small percentage of China’s affluent gamers, it may well prove a worthwhile and profitable venture.